Most modern men do not use pre shave oil. In fact, many of those do not know the benefits of pre shave oil, or why some men use it before shaving. The reality of adding this one simple step to wet shaving is that of better results with a closer, smoother and less irritating shave. What is pre shave oil? A few drops of oil is applied across the surface of damp skin before shaving. It is not rubbed into the skin, instead left to only slightly absorb on its own. Shaving cream or shaving soap is then applied on top of the oil. 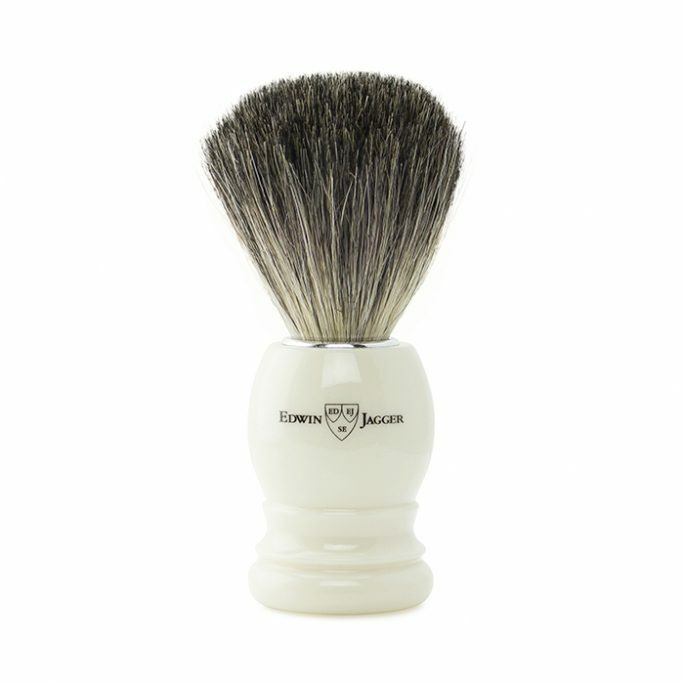 When the razor glides across the surface of skin, shaving cream and unabsorbed pre shave oil is removed. Pre-shave oil may be used with safety razors, disposable razor heads or straight edge razors. While there is an immense variety of pre-shave oils on the market today, several standouts have gained a broad following among men of all ages and skin types. 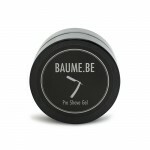 BAUME.BE is a product of Belgium. The company’s founder has highly sensitive skin and set out on a quest to develop shaving products that would not irritate his skin, yet would provide a top quality shave. BAUME.BE Pre Shave Gel is alcohol free, smells great and makes skin soft, hydrated and baby smooth. The Col Ichabod Conk line of shaving products has a colorful backstory many men love as much as they love the products, themselves. 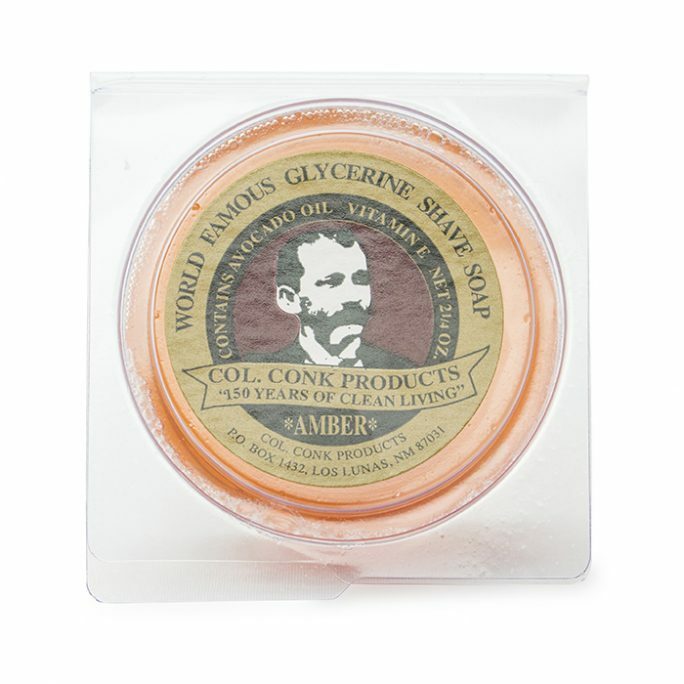 Col Conk Pre-Shave Oil coats and smooths skin by hydrating it before wet shaving, as the perfect primer beneath Col Conk Shave Cream in scents like Rio Grande Lavender. 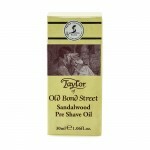 Taylor of Old Bond Street is a favorite English shaving line. 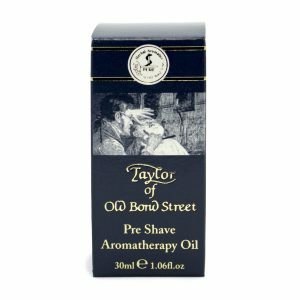 Walking down the streets of merry old England, you would likely encounter more than a few gents scented by Taylor of Old Bond Street’s Sandalwood fragrance, particularly that of the brand’s Pre-Shave Oil. Regardless of the pre-shave oil you ultimately select, adding this simple step to your wet shave regimen ensures your skin is well hydrated, smooth and closely shaven. The extra effort is something you will certainly appreciate, as the razor glides smoothly and provides fewer cuts, nicks, abrasions and ingrown hairs. Pre shaving oil is a mix of vegetable oils or essential oils which is applied to the skin before a shaving cream in an effort to achieve better shaving results. Such results include the avoidance of razor bumps and skin irritation by providing the much needed lubrication between the skin and the razor blade. Human beings have used vegetable oils and animal fats as shaving lubricants for many centuries. 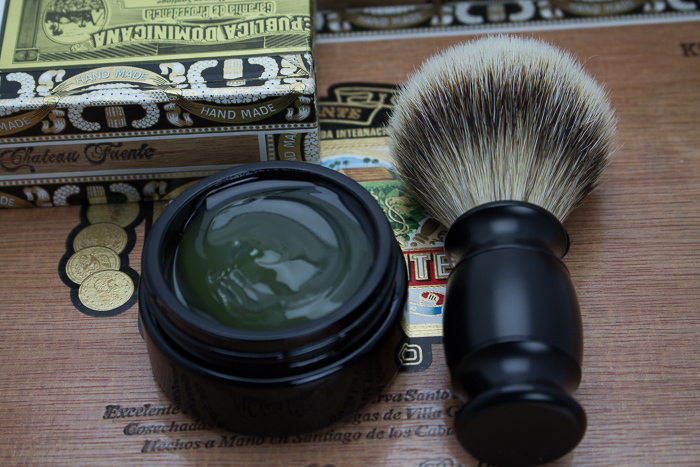 Although the practice has evolved into the additional application of shaving cream or soap after the initial application of shaving oil, there are still a few men today who shave exclusively with oil. 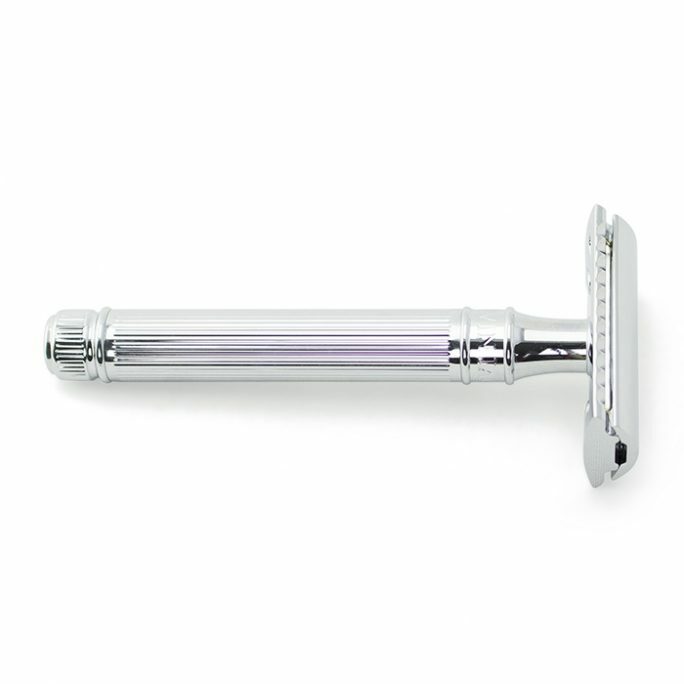 Razor Bumps are an unpleasant condition that affect many shavers. They can be terribly uncomfortable in addition to being a visually unpleasant. However, razor bumps can be prevented by the use of shaving oil which is a solution men who have sensitive skin have been using for years. Applying a thin layer of pre-shave oil helps to soften the hair so your blade cuts through it easily without pulling at the follicles and irritating them. This pull is what creates the razors bumps. It also enables the blade to glide smoothly over the skin, thereby avoiding the irritation of the skin for people with sensitive skin types. Men with sensitive skin benefit the most from the use of shaving oil. If you have sensitive skin like many people do, you will discover that there truly is a difference between using a pre shaving oil versus not using one at all. One of the many reasons why there has been a spike in demand for pre shaving oil is due to men demanding clear skin and no red irritation marks post shave. Applying pre-shave oil helps to reduce ingrown hair because the razor cuts the hairs cleaner. Ingrown hairs occur mostly because they have been cut at an angle. This cutting at an angle happens only when hair gets pulled by a razor before being cut. Such a scenario is not possible after the application of a pre-shave oil. Pre-shave oils help to reduce irritation of sensitive skin (razor burns) because the razor blade has lubrication to glide on. The number one complaint people have against the use of pre-shave oil is that it clogs their razor and stops them from getting a clean shave. Another complaint is that shaving oils are difficult to wash off from the face after shaving. The simple solution to avoiding such complaints is to buy a good quality pre-shave oil which should have a thin consistency. This will ensure that the pre shaving oil comes off easy with warm water. You begin your shaving session by either wrapping your face for a few minutes in a towel dipped in warm-to-hot water or by starting your shave after a shower. Now that your pores have been opened by the heat and your hairs are starting to soften, you apply just a few drops of your pre-shave oil to the palm of one hand and rub it together with the other palm. It is important to note here that you do not need excessive oil. You only need to create just a thin film of oil across the area you plan to shave. So use your two oily palms to massage the oil across your face, making sure it is not too thick. After this massage, you can now go ahead and lather up. This sandalwood pre-shave oil from Taylor of old Bond street is one of the finest pre-shave oils from one of England’s finest brands of gentlemen’s essentials. Use this to protect your sensitive skin from aggressive razor blades and avoid irritations and bumps. This Pre-shave oil from the Colonel Ichabod Conk is another fine product from another reputable brand of gentlemen’s essentials. Use this shaving oil to save yourself the agony of razor bumps. Made from the finest ingredients, the Baume.Be pre shave gel is similar to pre shaving oils but with a lighter texture that doesn’t incorporate the oily substance. This is the best alternative if you want a pre shaving solution but refuse to use an oil.